For design engineers looking to select the right components for an industrial or commercial application, the gear motor can be a very tough component to source out. There are a lot of types of motors available in the market and all of them promise to be the most efficient. At Bauer, we are confident in the quality of our stock and the experience of our staff. Matching speed as well as torque output for the gear motor. The flexibility of a gear motor means that they can be used in a very wide range of industrial applications. They can even be used in applications you may not even expect. This is mainly due to the robust, compact structure of the motor, as well as its reliability. One specific application where Bauer’s gear motor works best is with a directional antenna drive that has to meet very demanding requirements. It has to provide reliable operation regardless of the weather or conditions. The antenna should be positioned precisely and in a way that it will not change position. The best solution in these cases is a multi-stage helical gear motor equipped with a pole-changing motor, mechanical brake and flywheel fan. This particular gear motor is the most suitable to achieve low output speeds. The pole-changing motor will allow various speeds with rapid movement caused by wind until the antenna goes back to its final position. The brake serves as the holding brake since the low speed of the drive and the high inherent friction of the antenna permits exact positioning. A flywheel fan will make ensure a smooth transition between speed changes. 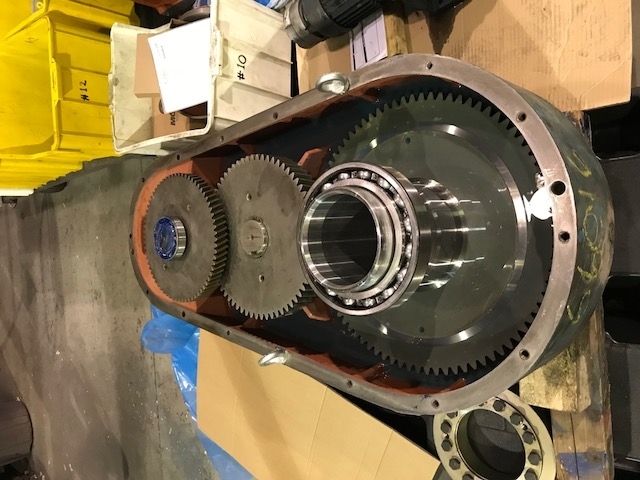 When it comes to the size of gear units, one size can be combined with up to 6 different motor sizes. This means that for each size of gear unit, there are as many as 150 geared motor combinations possible. Considering the pole-changing motor used in the directional antenna system, thousands of geared motor combinations can be employed for daily use in shops, factories and fieldwork. Learn more about gear motors and how they can help your business: contact Bauer GMC today.